Christmas at Oma's was as rich and gemütlich as ever! 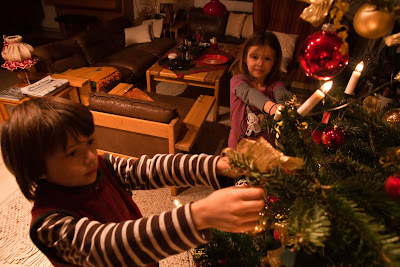 Fynn and Fiona eagerly awaited the Christkind, the Weihnachtsmann and Santa Claus. Ahhh - the joys of living in a multi-cultural family. Even cousin Ivo profits from this international celebration of Christmas. 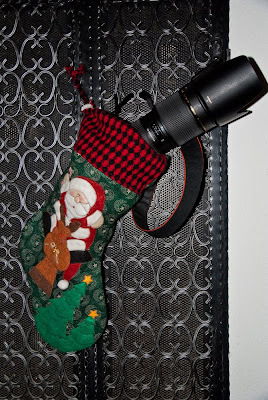 Last Christmas I was still learning how to use my my new Sony A300. The available-light photos from 2008 were fairly "artistic" looking. 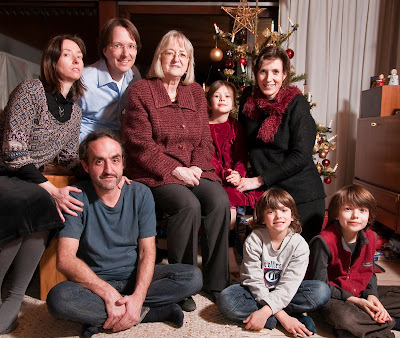 This year - thanks to a Big Bounce from my Christkind - we were able to shed some good light on the family. My goal this year is to learn how to regulate the placement of the flash and the amount of light it produces. So guess what my present was? A Tamron f2.8/70-200 lens. It has done wonders and I wonder what wonders it will continue to do!